If you are seeking a quality, reliable service with great hand-picked therapists, we’re the one for you! 40% OFF after the first 60 minutes! Our fees drop to just $1 a minute after the first hour – so for a great value add 15, 30 or even 60 more minutes to your session! If you would like to take advantage of one of our posted discounts for first time customers, please mention it when booking, or if ordering an instant massage gift certificate use promo code “FIRST10” for $10 off 1/hr or FIRST15 for $15 off 1.5/hr (not applicable to discount packages). Not sure about tipping?Gratuities are customary and not automatically included on most services. (Certain requests such as groups/multiple therapists and some hotel locations may be quoted an 18% tip-included price). The average tip is between 15% and 20%. If you are paying by credit card and wish to add an 18% gratuity (before any discounts) just ask for your massage to be “all inclusive”. Cash tips are welcomed as well. Swedish massage is your typical Spa massage – a mostly relaxing full body therapeutic massage. It can be light to medium pressure suited to your preference. Deep Tissue massage is stronger and more focused on specific areas or problems. It is usually also part of a full body massage and pressure can be adjusted to your preference. One “first-time client” discount per household. Discounts may not be combined with other offers, or applied toward gift card redemptions. Discounts not available on 30-minute massages. Certain condos and condo-hotels in Miami Beach, as well as remote coastal residential areas such as Key Biscayne, St. Pete beach & Clearwater Beach may be billed at hotel/resort rates. Body Well reserves the right to require a credit card deposit or payment prior to booking for any appointment request at its discrection. Requests for groups of 3+ therapists simultaneously performing single massages at the same location may require a surcharge of $20 per person and include an automatic gratuity due to the load it places on our available resources. Please consider consecutive massages. Appointments requiring 2 or more therapists simultaneously require a deposit of at least 50% to secure the reservation. Appointments starting 10:00 PM or later add $30. Lymphatic Drainage massages billed at the deep tissue rate. Prices above reflect non-medical massage services. Fees for medical massage including SOAP charting differ. *A surcharge may be applied (and discounts may not apply) on major national holidays including Thanksgiving Day, Independence Day, Christmas Eve, Christmas Day, New Year’s Eve after 4 PM and New Years Day for all appointments, including gift certificate & pre-paid package redemptions. Please call for details. *Discounts may not apply and gift certificate & pre-paid package redemptions may be subject to surcharges on Valentine’s Day, Mother’s Day & Father’s Day. Regular hours are 9:00 AM to 10:00 PM. Holiday blackouts on packages and gift certiciate redemptions include but are not limited to Mother’s and Father’s Day, and Valetine’s Day. Cancellation of appointments scheduled within 24 hours of service-time require a minimum of 2 hours advance notice or the full amount will be charged. Cancellation of appointments scheduled more than 1 day in advance requires at least 8 hours advance notice or the full amount will be charged. Credit card payments for all other services are processed in advance and are nonrefundable except when cancellations are made no less than two hours in advance. Gift certificates are non refundable. When redeeming pre-purchased massages BODY WELL will make its best effort to accommodate all requests but can not guarantee the availability of specific therapists or service at a specific date or time. 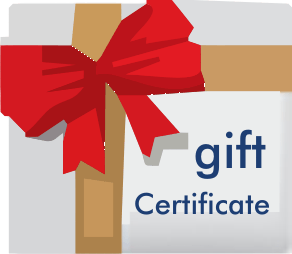 Gift certificate and discount package massages redeemed for service from two or more therapists at the same time are subject to a $20 surcharge per each therapist (no surcharge for consecutive sessions using one therapist), and may not be combined with other discounts or promotions. Prices, discounts and other promotions are subject to change.